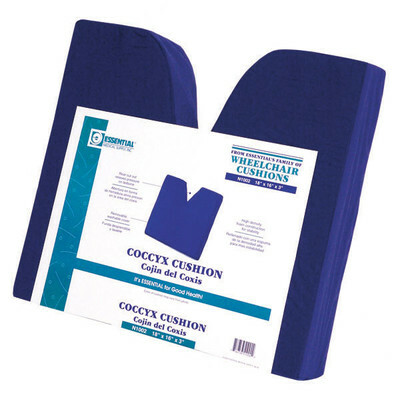 Designed to relieve pressure and provide a comfortable seat for individuals sitting in chairs, riding in cars, scooters, etc. 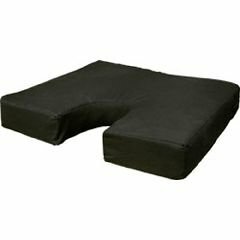 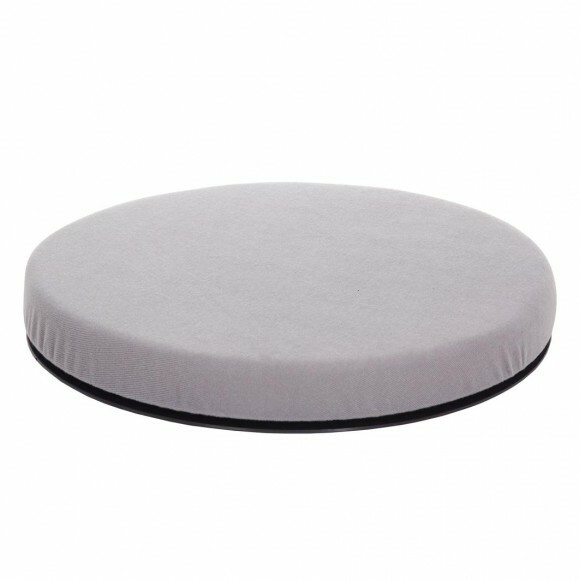 This seating cushion includes molded, 6 lb. 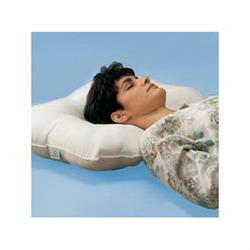 density memory foam that gives outstanding support and comfort. Encased in removable and washable luxurious zippered blue velveteen cover. 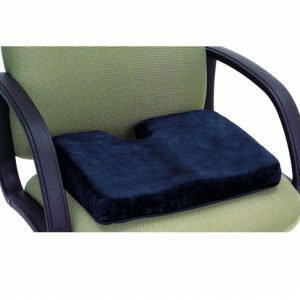 Sculpted design is anatomically correct and provides maximum comfort while rear cut out relieves pressure on the coccyx area.